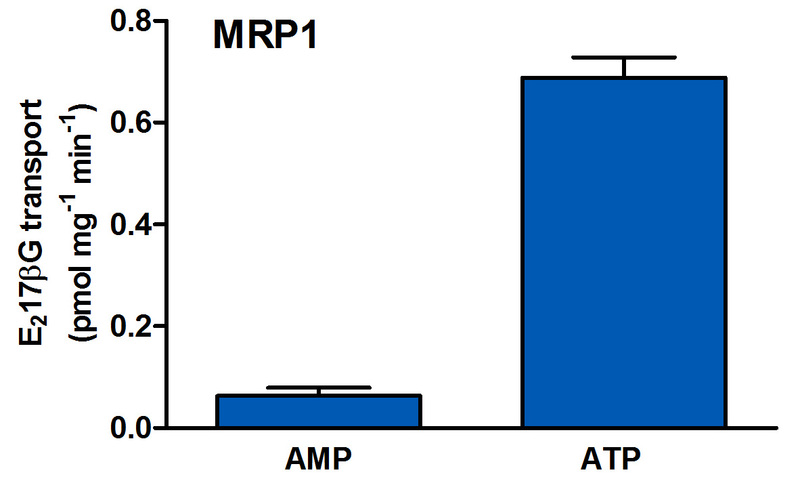 MRP1 vesicles with an ATP/AMP ratio >5 are readily available from PharmTox. Name: MRP1, multidrug resistance associated protein 1, ATP-binding cassette sub-family C member 1, ABCC1. MRP1 substrates: E217bG, GSSG, saquinavir, ritonavir, methotrexate, daunorubicin, leukotrienes, prostaglandines, folic acid, etc. MRP1 is present in: lung, testis, kidney, blood-brain barrier, skeletal and cardiac muscles, placenta, and macrophages. Available: mouse and rat MRP1.